Up-to-date information on menu design and pricing, new business development, and marketing analysis techniques, and sustainability. Expanded coverage of small business management, and tips for running a catering operation. New material on non-hotel catering operations. New tips for using your computer for menu design, food management, scheduling and invoicing. Emphasis in this edition is on providing operations guidelines to businesses that offer in-house catering and off-premise catering. Covers all the fundamentals, including styles of catering operations, menu design and pricing, food and beverage service, managing staff and equipment, and much more. 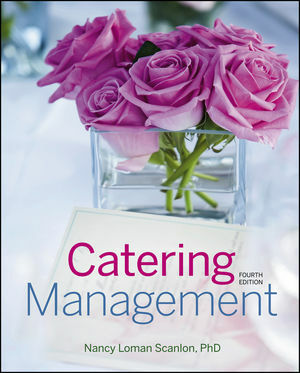 This all-purpose guide offers essential management techniques to keep current practitioners on the cutting edge and expert advice to help kick-start aspiring caterers’ careers.